Camomile Cottage01263 715779work01603 870304fax Self-cateringBeautifully renovated and very well equipped, this traditional cottage has lots of character and plenty of space. The local area offers plenty to do and enjoy, such as exploring the quaint shops and galleries of Holt, walking on the wide-open beaches of north Norfolk or visiting the city of Norwich. And if you just want to relax, you can choose between the cosy rooms inside and an enclosed private garden. 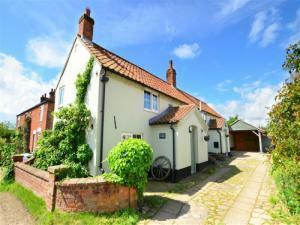 Beautifully renovated and very well equipped, this traditional cottage has lots of character and plenty of space. The local area offers plenty to do and enjoy, such as exploring the quaint shops and galleries of Holt, walking on the wide-open beaches of north Norfolk or visiting the city of Norwich. And if you just want to relax, you can choose between the cosy rooms inside and an enclosed private garden.